Meathead Movers is here to take care of the heavy lifting for you on your move to Ladera Ranch. Our clean-cut student athlete movers are ready to get you safely settled into your new Ladera Ranch home. Moving to Ladera Ranch provides an opportunity for families to settle down in a quiet, exclusive community. Established at the turn of the 21st century, this planned community sits on land that once belonged to Rancho Mission Viejo, the largest working cattle ranch in Orange County until the 1990s. Those who are making the transition to this community, should use Meathead Movers to take the stress out of moving. Ladera Ranch is located in southern Orange County just to the east of I-5. Mission Viejo, Rancho Santa Margarita, and San Juan Capistrano surround the community and provide recreation and entertainment opportunities for the residents of Ladera Ranch. With many beautiful parks in the area, it’s no wonder the region boasts some of the best hiking and wildlife viewing in all of Southern California. The community of Ladera Ranch is made up of a set of villages. Each village has its own homeowner’s association (HOA) regulations and offers its own unique services. Many of the villages have a clubhouse for community gatherings and special events. Even though each village has its separate homeowner’s association, community is still very important in Ladera Ranch. Residents are encouraged to attend Ladera Ranch Civic Council meetings and volunteer in the community. The city’s rich cattle ranching history is evident through a wide variety of historic buildings and sites in and around the community. The influence of early Spanish and Mexican explorers is also clearly visible, especially at the nearby San Juan Capistrano Mission. Many Ladera Ranch residents head to this mission every year to watch the migration of the swallows. Naturally, moving can be just as stressful as it is exciting. Those who are worried about getting all their possessions from their old home to their new can depend on Ladera Ranch movers for assistance. At Meathead Movers, we are proud to provide reliable, trustworthy moving services for families throughout Southern California. We handle local, long-distance, and commercial moves and even offer special Princess Packing services for those who don’t want to pack up their possessions themselves. We also provide reliable storage, on-site relocations, and our distinctive moving concierge service. 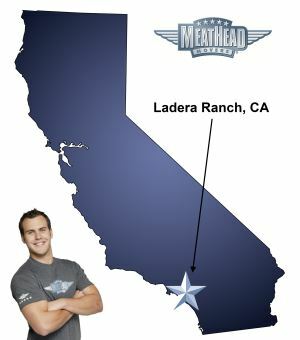 When it comes to moving to Ladera Ranch, Meathead Movers will help ensure a smooth transition to your new home. As your Ladera Ranch movers of choice, we will make sure that your possessions are safe and sound during your move. You can rest assured knowing that our friendly student athletes will not only take care of your move, they’ll even jog when they’re not carrying boxes to make the most of your time. With our 100% satisfaction guarantee, the only thing you have to lose is the stress that comes from moving! So call our office today for a free non-obligational quote and experience our revolutionary approach to the moving industry for yourself. Moving to Ladera Ranch? Here are some helpful resources. “Scheduled at 9 you called and changed time on us at the last minute. Told We would have a truck with a lift gate -NO LIFTGATE. No mattress bags big enough for king only twin??????? They carried my washer and dryer by hand- I overheard them say they brought the wrong dolly. It took 20 minutes to get the washer down the stairs. They made marks on the walls said they would clean it up and didn’t. When I asked them about it they asked for a rag!!!!! I said I would do it myself. they smashed the plants in the planter. Basically it was like having my son and two of his friends move us, so unprofessional. When I called and complained I was told you would take 10% off, that never happened. Adrienne told me he had faith in his moving team-not exactly what I wanted to hear. I’m pretty sure at this point there is nothing you can do to make things right! The one thing I don’t want is to hear your sorry again, that seems to be the one thing you can all do great! View more Ladera Ranch resources. Scheduled at 9 you called and changed time on us at the last minute. Told We would have a truck with a lift gate -NO LIFTGATE. No mattress bags big enough for king only twin??????? They carried my washer and dryer by hand- I overheard them say they brought the wrong dolly. It took 20 minutes to get the washer down the stairs. They made marks on the walls said they would clean it up and didn't. When I asked them about it they asked for a rag!!!!! I said I would do it myself. they smashed the plants in the planter. Basically it was like having my son and two of his friends move us, so unprofessional. When I called and complained I was told you would take 10% off, that never happened. Adrienne told me he had faith in his moving team-not exactly what I wanted to hear. I'm pretty sure at this point there is nothing you can do to make things right! The one thing I don't want is to hear your sorry again, that seems to be the one thing you can all do great! As with our previous move, the Meathead movers were energetic, polite and friendly.the were also excellent planners who efficiently filled the moving van while treating all our belongings with utmost care. Great job and highly recommended. Thanks! The were working at a very speedy from the beginning and end also very carefully doing their job. I would give them a great good big 10! Very kind and professional crew of employees!! Thank you! Movers were polite, professional, worked extremely diligently with speed but with caution and care as well. Your company has excellent communication, key to everything. Your movers are respectful, hard working, and clean cut. I will recommend your company any chance I can.